The Holy See has communicated that Pope Francis – accepting the petition made by the Prelate of Opus Dei, Monsignor Fernando Ocáriz – has decreed that Guadalupe Ortiz de Landázuri will be beatified in Madrid, her hometown, on Saturday 18 May 2019, the anniversary of her First Holy Communion. The Holy Father approved the miracle needed for her beatification this past 8 June 2018. The representative of the Holy Father who will preside over the beatification ceremony is Cardinal Angelo Becciu, prefect of the Congregation of the Causes of Saints. More details about the location and other celebrations will be made available over the next few weeks at www.guadalupeortizdelandazuri.org, including other ways to get to know the life of the future blessed. 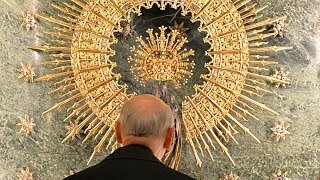 The Spanish chemist, who also spent various years in Mexico and Italy, is the first lay person in Opus Dei to be raised to the altars. 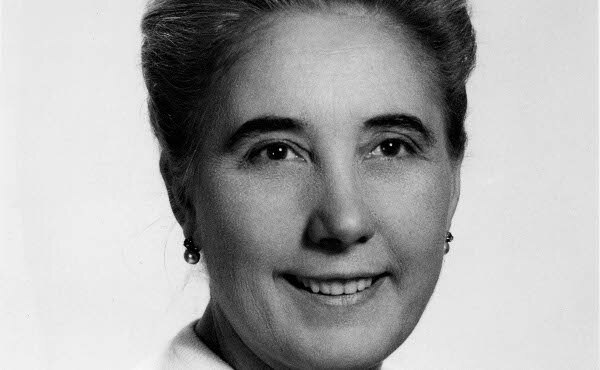 Guadalupe Ortiz de Landázuri (Madrid, 1916 - Pamplona, 1975) was one of the first women to join Saint Josemaría Escrivá de Balaguer in his efforts to spread the universal call of Christians to holiness, through Opus Dei. The text of the decree promulgated by the Congregation for the Causes of Saints highlights how Guadalupe lived the virtues to a heroic degree, and "with joy, gave herself completely to God and to the service of the Church, experiencing divine love with intensity" (Decree on the Heroic Virtues of Guadalupe Ortiz de Landázuri). Guadalupe was characterized early on by her strong character and courage. As the youngest of four children – one of whom died shortly before Guadalupe was born – she began high school at Our Lady of Pilar School, an institution run by the Marianists, in the city of Tetuán, where her father had been assigned as an Army officer. The only girl in her class, she stood out for her bravery and strong academic record. She finished high school in Madrid in 1933, and in October of the same year she enrolled in the Faculty of Chemical Sciences at the Central University. Among the sixty first-year students in her degree, she was one of just five women. In July 1936, at the onset of the Spanish Civil War, her father was arrested and sentenced to death following a rushed trial. Together with her mother and brother, Eduardo, Guadalupe accompanied her father in his final hours. Despite the enormous pain of the loss and the need to flee from Madrid with her mother, she never expressed resentment against those responsible for her father's death. Years later, having already moved to Mexico, she kept in touch with friends who were on the Republican side, many of whom were forced to flee the country after the war. In 1939, following the war, Guadalupe finally returned to Madrid, completed her degree in Chemistry, and began to teach at several schools. It was during this period that she met the founder of Opus Dei and understood that God was calling her to be a part of this new institution born in the heart of the Catholic Church, with total availability and living apostolic celibacy. It was 1944 and Guadalupe was 27 years old. From that moment on, she devoted herself to seeking personal holiness through her work and daily tasks, as well as helping other people to do the same. Her joy was contagious, and her strength allowed her to face any difficulty with a positive outlook. She stood out for her optimism and generosity. In 1950, the Founder of Opus Dei suggested to Guadalupe the possibility of going to Mexico. She immediately responded in the affirmative, and moved there with enthusiasm. There she set in motion Opus Dei’s formational activities, with all kinds of people. Among her first projects was a residence for university students on Copenhagen Street in the Mexican capital. Guadalupe also put special care into setting up a training centre and school for rural women at Montefalco, where they learned to read and write, in addition to manual trades. In 1956, she left Mexico to assist Saint Josemaría in the central government of Opus Dei in Rome. After a few months, however, a mitral stenosis in her heart forced her to leave Rome and return to Madrid to receive medical treatment. She would live the rest of her life in that city. She completed her doctoral studies in Chemistry and joined the Ramiro de Maeztu Institute as a teacher and, later on, as a professor at the Women's School of Industrial Masters in the capital. During this time, she assumed responsibility for the care of her mother, while also directing one of the centers of Opus Dei and continuing to carry out an intense professional activity. Despite the delicate state of her health, she did not slacken her work pace nor did she stop her apostolic efforts with people of all ages. Also in those years she collaborated in the beginnings of the Center for Studies and Research in Domestic Sciences (CEICID), where she taught Textile Chemistry classes. In 1975, the heart disease that had slowly been undermining her health forced her to undergo another operation in Pamplona. Despite the surgery’s apparent success, a subsequent respiratory failure eventually led to her death, on 16 July 1975. This past 5 October 2018, her tomb was moved from Pamplona to the Oratory of the Knight of Grace in Madrid.